From the information given in the article regarding the size and mass of Planet 9 (10 times the Earth mass and 2 to 4 times the Earth’s size), it would appear that Planet 9’s density ranges from 0.16 to 1.25 times the density of Earth. In other words, Planet 9 could be anything from an icy planet to a rocky planet like Earth. To the extent that it’s density is on the higher side of that range, it may have formed within the inner Solar System, inside the orbit of Jupiter. This raises the possibility that it’s current location might have resulted from gravitational interactions with the Jovian planet. Parker’s paper discusses the capture of free floating planets. There is another way of capturing a planet from outside the Solar System: capturing a planet that is in a distant orbit around another star: Is there an exoplanet in the Solar System? 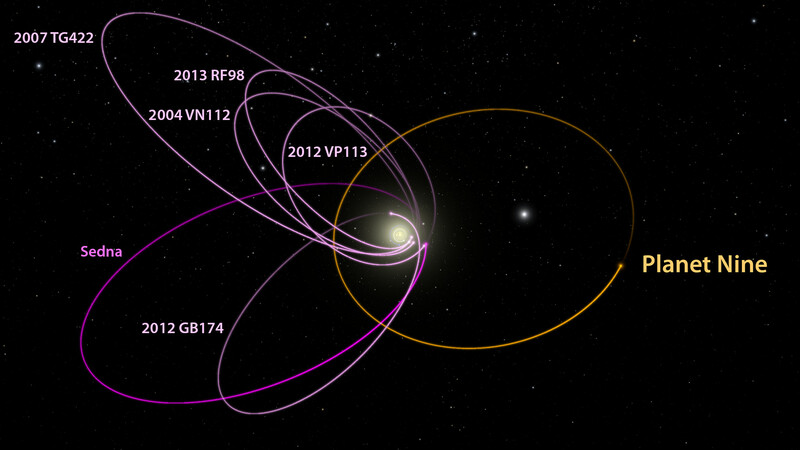 https://arxiv.org/abs/1603.07247 They found the odds of capturing a planet in an orbit like that proposed for Planet Nine of up to 1%. It is not easy to capture planet by natural way. We but have (on orbits around our planet) many satellites. Were those ones captured?_It look so (from my calculations, computer simulations,…based on ancient sources), that there are two undiscovered massive planets in our Solar system. One planet is cca on orbit which Mike Brown with Konstantin Batygin proposed too, but more massive. The second one on more prolongated orbit with variable period 900-2200 years,..